Click here to find our textured cuffs. 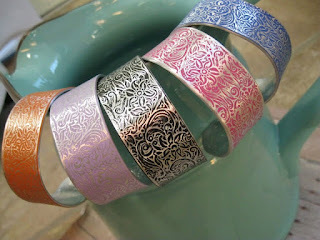 These cuffs are rolled through a rolling mill with a texture plate. Rolling compresses the metal and creates a firmer cuff. a little detail surprise for your customers.